Tha mi a’ sgrìobhadh seo aig àm a’ Mhòid Nàiseanta, a tha ann an Steòrnabhagh an turas seo, tachartas mòr na bliadhna Gàidhlig. ‘S e gràinne-mullaich na bliadhna dha na ceudan a bhios a’ gabhail pàirt sna farpaisean aon-neach no còisire, agus dha na mìltean a bhios ag èisteachd ris beò no air an telebhisean no rèidio, agus tha e le cinnt math dha-rìribh do dh’eaconamaidh a’ bhaile far a bheil e ga chumail. Ach chan eil am Mòd gu tur gun chonnspaid. Ann am beachd iomadh Gàidheil chan eil an dòigh-sheinn agus gu h-àraidh an rèiteachadh-ciùil aig farpaisean nan còisirean “Gàidhealach” gu leòr – tha iad ro chlasaigeach. Chaidh am Mòd a steidheachadh ann an 1892 agus thathar ag ràdh gu bheil buaidh fàsanan-ciùil an linn sin agus blas romànsach Celtic Revival aige fhathast. ‘S ann aig farpais nam Bonn Òir san t-Seann Nòs a-mhàin a tha dòigh-sheinn nas tradiseanta, nas nàdarraiche ri lorg. Air an làimh eile, bidh lionrà nam mòdan ionadail agus farpaisean na cloinne is inbheach a‘ toirt daoine òga is eile gu bàrdachd agus gu seinn Ghàidhlig, agus tha craoladh nan cuairtean deireannach sna meadhanan na shanas mhath airson cànan agus ‘s dòcha cultar na Gàidhlig. Tha connspaid coltach ri sin aig na leabhraichean Songs of the Hebrides a dh’fhoillsich Marjory Kennedy Fraser, ‘Marsaili nan Òran’, eadar 1909 agus 1925. Bha eagal aig Marsaili gun rachadh òrain thradiseanta nan Eileanan Siar bàs, agus shiubhail i mun cuairt gan cruinneachadh agus gan clàradh air siolandairean cèire – rud math gun teagamh. Ach chan e sin a dh’fhoillsich e, ach rèiteachaidhean romànsach airson piano no clàrsaich agus guth clasaigeach, le faclan Beurla – eadar-theangachaidhean gu math saor agus litreachail ann am fàsan an linn leis an Urr. Coinneach MacLeòid. Dh’fhàs i gu math ainmeil leis na cuirmean-ciùil a ghabh i còmhla ri Patuffa, a nighean, san Roinn Eòrpa agus sna Stàitean, far an robh an luchd-èisteachd a’ creidsinn gur ann (gu ìre) mar sin a bhiodh na h-eileanaich gan gabhail. 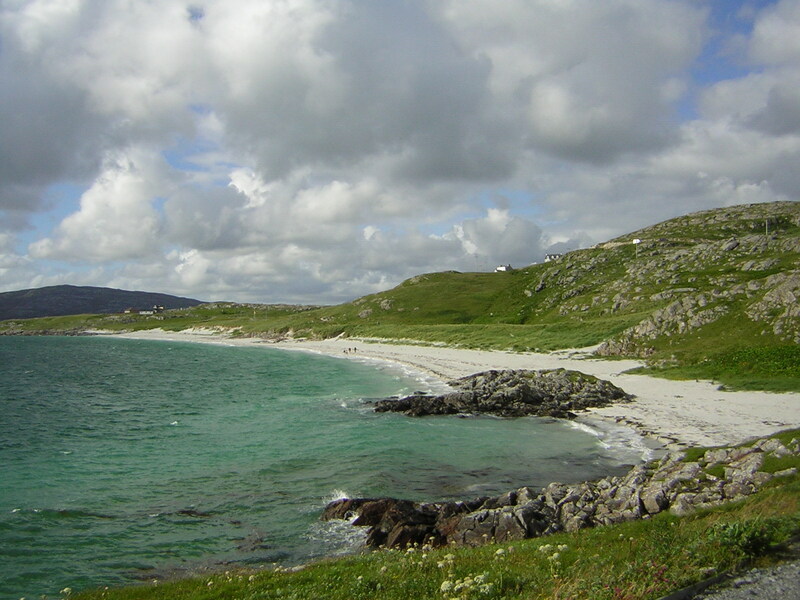 ‘S e The Eriskay Love Lilt an t-òran as ainmeile aice san latha an-diugh (faclan gu h-ìseal), agus ‘s e òran brèagha a th’ ann gun teagamh sam bith. Chaidh a chlàradh le iomadh seinneadair gun cheangal idir ri Gàidhlig no ri Alba, tionndaidhean tlachdmhor le Judith Durham (the Seekers), Paul Robeson, agus Nana Mouskouri (uile air YouTube, ceanglaichean nas ìsle), agus feadhainn eile à Alba fhèin, mar The Corries agus Barbara Dickson. Ach cha d’fhuair an t-òran tùsail, Gràdh Geal mo Chrìdh,’ bàs, as dèidh a h-uile càil. Mhàir e sin beò cuideachd. Tha clàraidhean-làraich aig tasglann Tobar an Dualchais, m.e Nan NicFhionghain à Bhatarsaidh ann an 1952 http://www.tobarandualchais.co.uk/en/fullrecord/88482/1, agus bidh e ga sheinn fhathast. 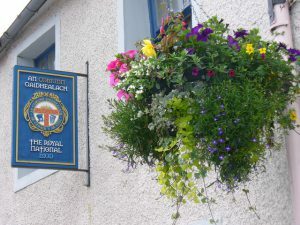 Faodaidh mi an tionndadh air leth aig Iseabail NicAsgail a mholadh gu mòr, air Sìoda, https://www.youtube.com/watch?v=qfDtTHC8BoY no am fear aig Artair Cormaig, air an CD Ruith Na Gaoith. Nam bheachdsa tha an seann òran Gàidhlig seo fada nas brèagha agus – nas cudromaiche – fada nas drùidhtiche, nas cumhachdaiche, a thaobh nam faclan tarraingeach dà-sheaghach agus an fhuinn, na an tionndadh Beurla aig Marsaili chòir, brèagha ‘s gu bheil sin. 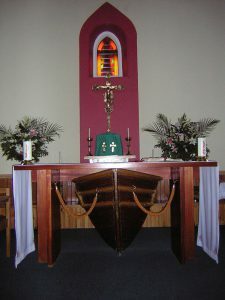 Dèanaibh sibh fhèin coimeas. Agus na h-òrain eile a chruinnich i? Nach math gun do dh’fhàg Marsaili mar dhìleab dhuinn ann an Sgoil Eòlais na h-Alba na siolandairean cèire aice cuideachd, còmhla ris na pàipearean agus na tionndaidhean Beurla. I’m writing this at the time of the Mòd, held in Stornoway this time, a major event in the Gaelic year. It’s the highlight of the year for the hundreds taking part in the solo and choir competitions, and the thousands listening live or via TV and radio, and it’s certainly a great boost to the economy of the host community. But the Mòd is not entirely uncontroversial. 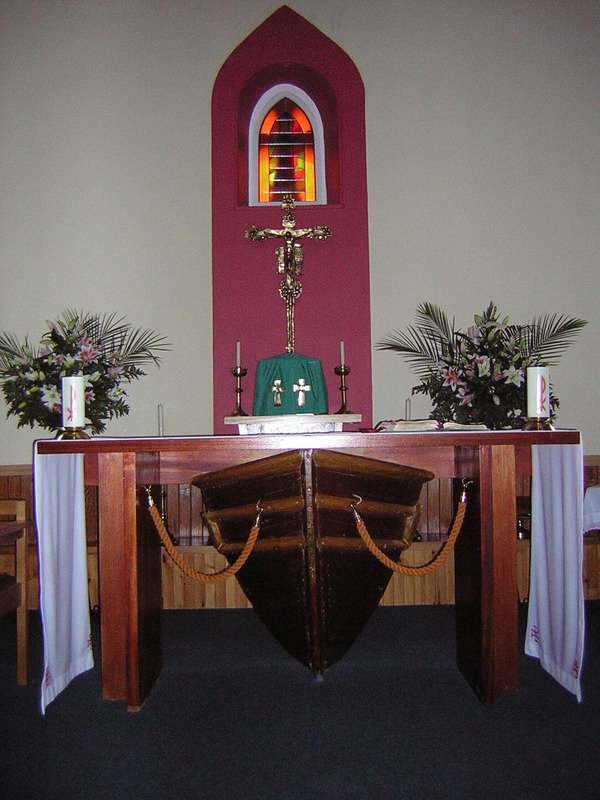 For many Gaels the style of singing and especially the arrangements for the choir competitions are not ‘Gaelic‘ enough – they are too classical. The Mòd was founded in 1892 and it’s claimed that it’s still influenced by the musical fashions of the time and has a ‘Celtic Revival’ flavour to it. It’s only in the Traditional Gold Medal competition that you hear more a natural, traditional way of singing. On the other hand, the network of local mòds and the competitions for children and adults bring young people and others to Gaelic song, and the broadcasting of the final rounds in the media are a good advert for Gaelic language and (maybe) culture. 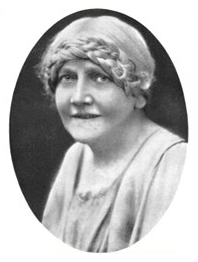 A similar controversy surrounds the volumes Songs of the Hebrides, published by Marjory Kennedy Fraser (‘Marjory of the Songs’) between 1909 and 1925. She feared that the traditional songs of the Hebrides would die out, and she travelled around collecting and recording them on wax cylinders – undoubtedly a very good thing. But these are not what she actually published, but romantic arrangements for piano or clarsach and classical voice, with English lyrics – extremely free and literary translations after the fashion of the day by the Rev. Kenneth MacLeod. She became quite famous for the concerts she gave with her daughter Patuffa in Europe and the States, where the listeners believed that that is (approximately) how the islanders would sing them. The Eriskay Love Lilt is the most famous of her songs today (lyrics below), and it’s a lovely song by any measure. It’s been recorded by many singers who have no connection to Gaelic or Scotland, with delightful versions by Australian Judith Durham (the Seekers), Paul Robeson, and Nana Mouskouri, and others from Scotland itself, e.g. the Corries, Barbara Dickson (all on YouTube, links below). But the original song, Gràdh Geal mo Chrìdh’ (Fair Love of my Heart), didn’t die out after all. It lived on, and is still sung, and not just in archive recordings like the one by Nan Mackinnon from Vatersay in 1952, on the Tobar an Dualchas site: http://www.tobarandualchais.co.uk/en/fullrecord/88482/1 . I can’t recommend highly enough the gorgeous version by Ishbel MacAskill on the Sìoda CD: https://www.youtube.com/watch?v=qfDtTHC8BoY , or Arthur Cormack’s on Ruith na Gaoith. To my mind the old Gaelic song is far more beautiful, and – more importantly – more moving, more powerful, as regards both the fascinatingly ambiguous lyrics (did she leave him or not?) and the tune, than Marjory’s sweeter version, lovely though that is. Make your own comparisons – listen to Ishbel. And what happened to the other songs Marjory collected? Well, we are very fortunate in that she actually left us her wax cylinders, in the School of Scottish Studies, as well as her papers and the English versions. Sad am I, without thee. Strength and light thou’rt to me. Thy soft calling to me. The old pathway to thee.